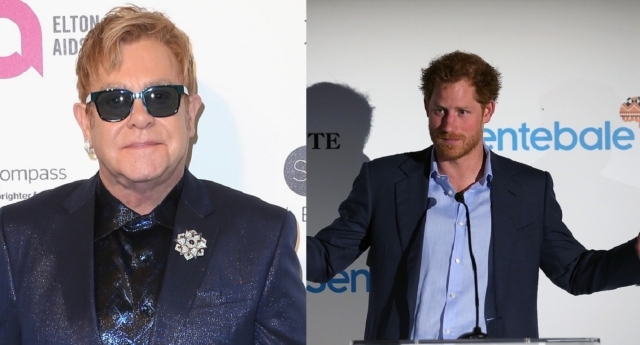 Sir Elton John and Prince Harry are set to co-host a panel on HIV at an upcoming conference. It was announced today that the pair will be taking part in the 2016 International AIDS Conference in Durban, South Africa next week. The pair will be joined by Prince Seeiso of Lesotho for the session, which will address the HIV epidemic among adolescents with a particular emphasis on the impact stigma and discrimination have on youth. Prince Harry has recently focused more of his engagements around HIV – even taking a HIV test himself in a Facebook Live video earlier this week. The fifth-in-line to the throne has visited a number of HIV clinics in recent months, and has also spoken about his late mother’s work on the issue. The panel will take place on July 21. In a statement, Sir Elton said: “Today, HIV/AIDS is a treatable disease and no longer the death sentence it was ten years ago, but we cannot grow complacent in our fight to eradicate it completely. If our efforts wane, anti-viral drug resistance will resurface, transmission rates will again rise, and this disease, which knows no boundaries, will once again become a ruthless pandemic with disastrous and far-reaching consequences. “Many LGBT people and youth around the world still don’t have access to life-saving treatment and face high cases of stigma and discrimination. At the conference, the Elton John AIDS Foundation will also announce the first recipient of The LGBT Fund, a $10 million partnership with the President’s Emergency Plan for AIDS Relief (PEPFAR). EJAF Chairman David Furnish said: “We are proud to partner with PEPFAR for the joint LGBT Fund to increase our support for Africa’s LGBT community. “Today, an estimated 19 million of the 35 million people living with HIV worldwide do not even know they have the virus.